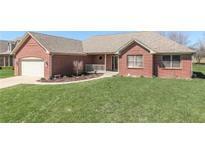 Below you can view all the homes for sale in the Copperleaf subdivision located in Greenwood Indiana. 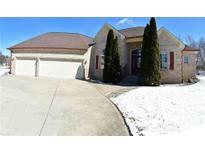 Listings in Copperleaf are updated daily from data we receive from the Indianapolis multiple listing service. To learn more about any of these homes or to receive custom notifications when a new property is listed for sale in Copperleaf, give us a call at 317-493-0959. Home features a large open Great Room with a Fireplace, gorgeous Kitchen with lovely back-splash, granite counters, Stainless Steel appliances, & Breakfast Area that leads into the Sunroom, big Sunroom with lots of natural lighting and doors leading to backyard, great-size bedrooms, Master Bedroom with walk-in tile shower & walk-in closet, separate laundry room, large backyard with concrete patio & private view! MUST SEE! MLS#21632357. Jeff Paxson Real Estate. Lovely screened in porch for those cool spring evenings! Priced to sell!!!! ! MLS#21628846. CENTURY 21 Scheetz. This won’t last long, see it today. MLS#21615865. CENTURY 21 Scheetz. 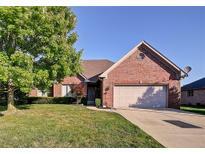 Copperleaf subdivision in the heart of Center Grove. MLS#21600544. Cottingham Realty, Appraisal.